New York City bassist John Menegon started his career playing bass in Montreal. After having worked for several years on the Canadian jazz scene with the great guitarists Sonny Greenwich, Mike Gauthier & Nelson Simons, and saxophonists Steve Grossman & Pat LaBarbara, he went on to hone his skills in NYC in the mid-80s. Since moving to New York to study Jazz at Long Island University on a full scholarship, John has performed/recorded with Dewey Redman, David “Fathead” Newman, Matt Wilson, Frank Kimbrough, John Hicks, John Abercrombie, Steve Slagle, Yoron Israel, Jack DeJohnette, Kenny Burrell, Joel Frahm, Pat Metheny, Kenny Barron, Paul Bley, Anthony Braxton's Tri-Centric Orchestra, Nick Brignola, Jimmy Cobb, Al Foster, Slide Hampton, Sheila Jordan, Lee Konitz, Joe Lovano, and many others. In addition to touring, recording, and composing, he has created and taught Jazz Workshops on the music of Jaco Pastorius, Miles Davis, and Charles Mingus at Williams College (Williamstown, MA). 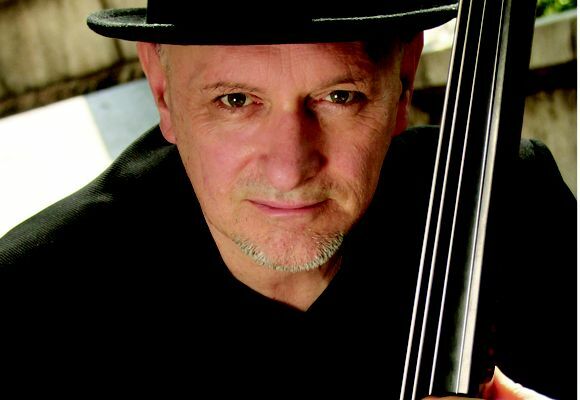 He has also taught master classes at Jazz Festivals around the world, including the Panama Jazz Festival, Bolzano (Italy) and San Miguel de Allende (Mexico). Menegon was the Bassist for jazz legends Dewey Redman and also David “Fathead” Newman for ten years (1998 ‘til 2009). He recorded five CDs with Newman on High Note Records, and was the bassist for the film on Dewey Redman’s Guggenheim Grant Project. John's latest recording "Blew By Blues" with his group "Quartet East" was released on Dot Time records in 2017 and features John on bass, Joel Frahm on tenor/sop sax, Frank Kimbrough on piano, and Steve Williams on drums, with special guest vocalists Teri Roiger, Judi Silvano, Sarah James and Maryanne de Prophetis. His 2014 release "I Remember You" (Inner Circle Music) includes dedications to some of the musicians who have influenced him musically and creatively over the years. The CD features Menegon on bass and compositions, Tineke Postma on alto/soprano sax, Frank Kimbrough on piano and Matt Wilson on drums. This release received a four-star review in Downbeat (April 2014). “Soul Advice” (Maki Records, 2006) John Menegon (bass), John Gunther (sax & bass clarinet), Mark Dziuba (guitar) Tani Tabbal (drums). “Search Light” (Maki Records, 2004) John Menegon (bass), Dewey Redman (sax), John Gunther (sax), Mark Dziuba (guitar) Mark McLean (drums), Tani Tabbal (drums and percussion), Teri Roiger (voice). “New Moon” (Maki Records) John Menegon (bass), Harvey Sorgen & Bob Meyer (drums), Jonathan Lorentz (sax), Teri Roiger (voice/spoken word), Michael Bocian (guitar).